Have a look at the variety of supported accommodation options we have on offer and meet some of our tenants/residents. We have a range of options for you to develop your skills from Hospitality to Woodland Management. Volunteers are part of the lifeblood of COT you can contribute to our work in all sorts of exciting ways. 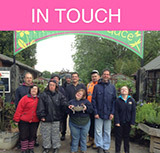 Canterbury Oast Trust (COT) is a charity supporting people with learning disabilities in Kent and East Sussex. We offer a high quality person centred approach through accommodation, support and training options. We run a number of enterprises that support our work including the Rare Breeds Centre near Ashford. 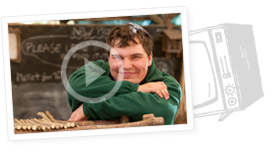 Get the latest Canterbury Oast Trust and learning disability news.